With Aurelio de Laurentiis confirming in a press conference that Maurizio Sarri was edging closer to taking over from Antonio Conte at Stamford Bridge, it appears Chelsea are starting to make their first real moves on the transfer market. While there were rumblings of offers being made for Daniele Rugani in the past, they were never shouted from the rooftops as you’d expect them to be, but TuttoMercatoWeb on Wednesday get the real ball rolling with a claim the Blues have offered €36m for the young defender. 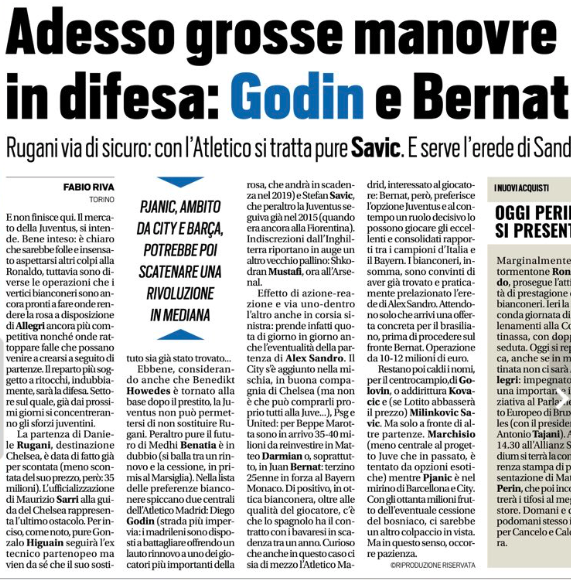 Having played under Sarri at Empoli prior to his move to Juventus, the 23-year-old knows what to expect from the former Napoli manager, who already wanted a reunion with his pupil when he was still employed by the Serie A side. 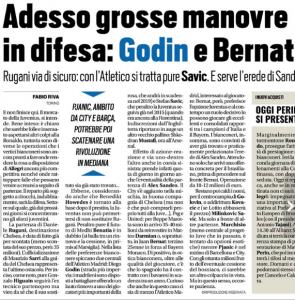 Tuttosport, on the other hand, go even further, explaining the youngster’s exit from Juventus is already ‘assumed’, suggesting all that needs to happen is Chelsea to announce their new manager before the move takes place. The general consensus since the rumour started was that a fee of around €40m would be needed to convince Juventus, but the arrival of Cristiano Ronaldo and his expensive transfer could have changed matter a bit, with the Serie A champions now expected to have a quick sale to balance the books in the coming weeks. Could that mean Chelsea get Rugani at a slightly more discounted price? We’ll have to wait and see.